crap management: Kumquats Are Back! Ten more days, and my year-long project will come to an end! Lately, I've been thinking a lot about what I have accomplished in the past year, what it means, and what's next... but more on that later. Today, I thought it would be fun to return to a subject that I captured 11 months ago, when my journey had just started. 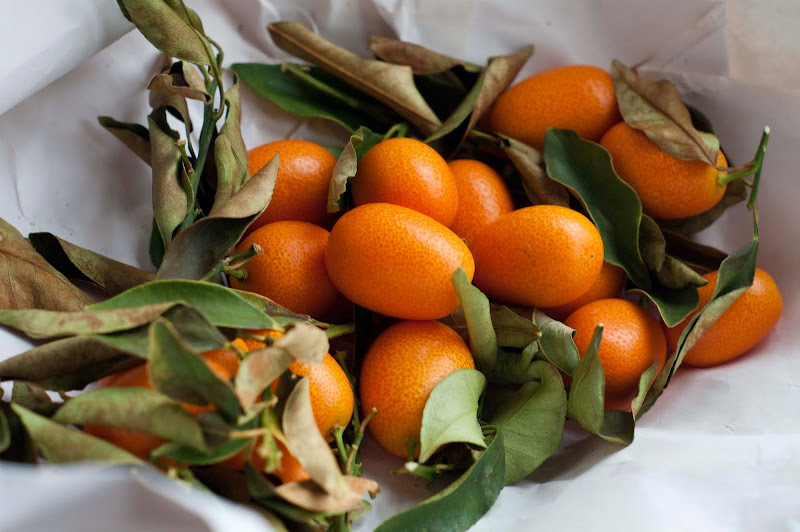 Our friends in California sent us a new crop of kumquats, and they are every bit as tasty as the last one. They certainly look good enough to eat! Love the bright color for this time of year.